-The patient is in his thirties ,classified as a Norwood 4 with fine ,straight hairs . The last characteristics are usually not welcome in our industry ( we prefer curly hairs and coarse ).Anyway ,the patient had an outstanding Calculated Density ie number of hairs per grafts averaging 2.9.With our customize tools ,we were able to get them with very low transection. 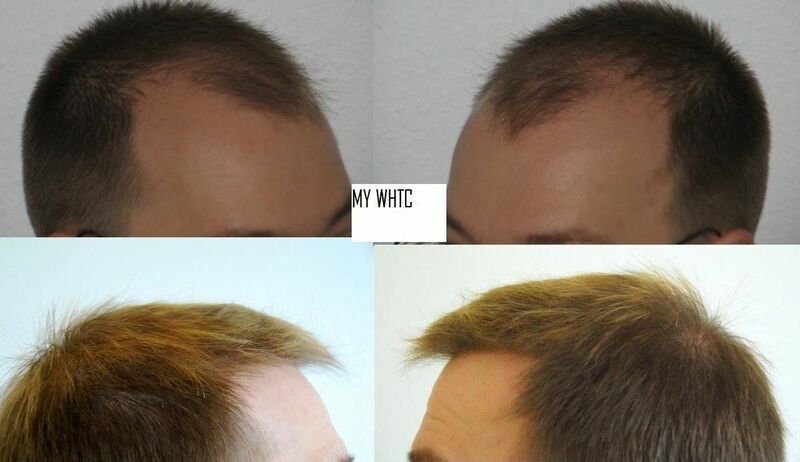 This measures were able to compensate the bad hairs characteristics and we will present you his results at 6 months post op (photos sent by the patient himself). 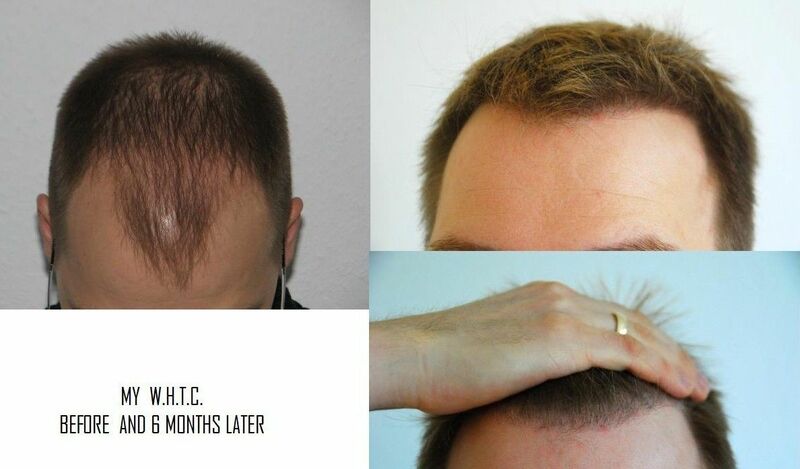 looks like good results, out of curiosity is there anything to prevent/stop the bumps he has along his hairline? » the bumps he has along his hairline? It is very difficult to prevent it as only a few percentage of patients experienced multiple folliculitis in the scalp (pimples ).This patient described them around 3 months .We usually suspect it is due to the fact of growing graft coming out and germs of the scalp infect them. Advise to patients :squeeze them and evacuate the pus .Use for 3 to 5 days a isobetadine shampoo .It works pretty good in this patient who told me he sees a big improvement . But I am open to hear others tips as it is very disturbing for the patients to deal with it . Some doctors say it is a good sign :at least it is a proof that are growing out …(this is just a way to get around the problem ;but we need to figure out if there is a tip that works very good as prevention ).